In December 2012, officers in Arlington Heights, Illinois, started looking into a cold case involving a suspect named Donnie Rudd. One cold case led to another, and the shocking discovery that Donnie may have murdered multiple people as he walked free for 45 years. In this episode, I speak to Cindy Hart, Donnie’s former stepdaughter, about what life with Donnie was like behind the scenes. PROcure - PROcure’s Hydrocortisone Cream with Calendula is fast-acting, healing itchy, irritated skin with maximum strength 1% cortisone. It’s enhanced with organic calendula extracts, a natural botanical that has been used for centuries to reduce inflammation. It gives you all the medicine you need + skin-loving ingredients like organic coconut oil. Go to procureheals.com/JUNKIE to be directed to Amazon where you'll get a special $3 discount with the code 3JUNKIE. Out Of The Shadows Podcast - Join “The Keepers” star Gemma Hoskins and Investigative Journalist Shane Waters as they continue their own investigation on Sister Cathy Cesnik on their popular investigative podcast. Out Of The Shadows releases weekly episodes and can be found on Himalaya or wherever you listen to podcasts. Please consider supporting Court Junkie with as little as $1 a month via Patreon.com/CourtJunkie. In January 2008, a Hepatitis C outbreak was discovered in Las Vegas, Nevada. After investigating the outbreak, officials were able to determine that the infected patients all had one thing in common - they had all undergone procedures at the Endoscopy Center of Southern Nevada. After one of the infected patients passed away, a physician and nurse anesthetist from the Center were charged with second degree murder. SURVIVAL - Every Monday, the Parcast Network’s podcast SURVIVAL demonstrates the human spirit’s ability to triumph over deadly adversity with high-intensity stories of people in life or death situations. Search for and subscribe to Survival wherever you listen to Parcast shows. In January 2011, 48-year-old John Lee was arrested for battery. He posted bail and within days, his alleged victims were found dead. NOTE: Please consider taking this quick survey so I can better cater the ads for the show - podsurvey.com/JUNKIE. Once you’ve completed the survey, you can choose to enter for a chance to win a $100 Amazon gift card. Terms and Conditions apply. Care/Of Vitamins - For 50% off your first month of personalized Care/of vitamins, go to TakeCareOf.com and enter JUNKIE50. In June 2012, 54-year-old Marcus Golike was found deceased on the banks of the Ohio River. Investigators immediately focused in on four teenagers as potential suspects. What would they learn in their interrogations? NOTE: Please consider taking this quick survey so I can find more advertisers for the show - podsurvey.com/JUNKIE. Once you’ve completed the survey, you can choose to enter for a chance to win a $100 Amazon gift card. Terms and Conditions apply. Breach - Breach is a podcast that takes you inside the world’s biggest hacks - how they’re done, who does them, and what’s really at stake when your private data is compromised. Listen to Season 2 of Breach, The Equifax Story: This Time It’s Personal. Subscribe to Breach in your podcast app. True Body Bra - An amazingly comfortable and supportive bra from True and Co. Save 15% now when you go to Trueandco.com/junkie and enter the code JUNKIE. Summersalt Swimwear - Crafted with 5x the strength and 4x the compression of an average swimsuit, Summersalt offers designer quality without the designer price tag. Get $10 towards your purchase using the code JUNKIE at summersalt.com. On Saturday, November 16, 2014, police officers responded to the call of a bar fight at a local bar in Akron, Ohio. As they neared the scene, the call changed - an officer was down and in need of immediate assistance. When they arrived, they found an off-duty police officer lying in the parking lot. He had been shot twice, and the shooter was on the run. Lorena - Amazon Prime Video and Executive Producer Jordan Peele bring you Lorena: the new docu-series that shares Lorena Bobbitt's side of the story and investigates the headlines and press coverage 25 years later – Now streaming on Amazon Prime Video. Handy - the easy and convenient way to book home cleanings. To get your first 3-hour cleaning for $39 when you sign up for a plan, visit handy.com/junkie and use promo code JUNKIE during checkout. 35-year-old Kendra Hatcher was tragically gunned down in the parking garage of her high-rise apartment building in Dallas, Texas, in September 2015. The investigation into her murder would uncover a sinister plot to have her killed. Would all the suspects be caught and be brought to justice? First Day Back - a really great unique podcast about people returning from the hardest experiences of their lives. Make sure you check out First Day Back in your podcast app now, and then subscribe so you won’t miss an episode. LOLA - LOLA offers complete transparency about the ingredients found in their tampons, pads, liners, and wipes – all of which are 100% organic cotton with no added chemicals, fragrances, synthetics, or dyes. With Lola’s customizable subscription, you get to choose your mix of products, mix of absorbency, number of boxes, and frequency of delivery. For 40% off all subscriptions, visit mylola.com and enter code COURT40 when you subscribe. If you’d like to discuss this case, please join our active discussion on the Court Junkie Discussion Facebook Group. On December 16, 2000, 31-year-old Mike Williams went duck hunting, only to never be heard from again. Authorities told reporters that they suspected he got into a boating accident, drowned, and was eventually eaten by alligators. But 17 years and two arrests later, would the truth finally come out? NOTE: If you’re interested in this case, the Minds of Madness Podcast has also covered it this week - They do a great job of looking into the minds and circumstances of this tragic case and the lengths a mother’s love will go to, to bring justice for her son. Check it out! Murderville, Georgia - a new investigative podcast from The Intercept. Subscribe now on Stitcher, Apple Podcasts, or wherever you listen. True & Co. - Home of THE most comfortable bras on the planet! (They didn’t tell me to say that, but that’s how comfortable they are) Save 15% now when you go to Trueandco.com/junkie and enter the code junkie. Simple Contacts - Simple Contacts lets you conveniently renew your contact lens prescription & reorder your contacts from anywhere in minutes. Get $20 off your contacts at simplecontacts.com/JUNKIE20 or enter code JUNKIE20 at checkout. In this New Years episode, I take a look back at some of the episodes I covered this year. The next full length episode will be released the week of January 21st. In December 2012, 18-year-old Jerrod Murray was arrested and charged with the murder of 18-year-old Generro Sanchez, a fellow college student. In a chilling interrogation, Jerrod matter-of-factly describes the murder and when asked if he has any remorse, he says no. But would the laws in Oklahoma make it easy for Jerrod to not face responsibility for what he did? In the episode, I speak with Generro's mom, Jeana, who talks about what happened to her son, and what she and her family are still dealing with today. UPDATE: An earlier version of this episode incorrectly stated that those who are found guilty with a mental defect would be sent to prison if they are ever deemed to not be a threat to society again. A later version clarifies this - After a defendant is found guilty with a mental defect, they are then sent to a maximum security hospital for the same amount of time as if he or she had been sentenced to a “regular prison.” From there, they are then transferred to a minimum security building while they are being considered for release. Thank you to listener Kevin for making me aware of this error. KATANA Safety - The first and only personal safety device that attaches to your smartphone, KATANA is monitored by a 24/7 Response Center and an app that alerts seven of your loved ones. Buy now at katanasafety.com/junkie. Get 20% off with the promo code JUNKIE. Care/of - Care/of is a monthly subscription vitamin service that delivers completely personalized vitamin and supplement packs right to your door. For 25% off your first month of personalized Care/of vitamins, visit TakeCareOf.com and enter JUNKIE. In July 2007, a man in a trench coat walked into the crowded New York New York Casino & Hotel in Las Vegas, Nevada, and opened fire. At his trial, his defense would argue that his intent had not been to kill, but to be killed. What would the jury think? Madison Reed - Madison Reed is reinventing the way women color their hair - they offer the quality of salon color, the convenience and affordability of at-home hair color, and combine that with an ammonia-free formula with ingredients you can feel good about. Get 10% off plus Free Shipping on their first color kit. Go to Madison-Reed.com and use code JUNKIE. In December 2013, 20-year-old Heather Elvis mysteriously vanished in the middle of the night and hasn’t been seen or heard from since. I covered Heather's disappearance and the first trial of one of the suspects in Episode 45. This episode covers the trial of the second suspect. Law enforcement and prosecutors are convinced they know what happened to Heather - but would a jury believe their theory? Up And Vanished - In a one-night special TV event, Oxygen brings to life Payne Lindsey’s hit true crime podcast “Up and Vanished.” Check it out on Sunday November 18th at 7 on Oxygen. Simple Contacts - Simple Contacts lets you conveniently renew your contact lens prescription & reorder your contacts from anywhere in minutes. The vision test is only $20, their contact lens prices are unbeatable, and standard shipping is free. Get $20 off your contacts at simplecontacts.com/JUNKIE20 or enter code JUNKIE20 at checkout. Care/of - Care/of is a monthly subscription vitamin service that delivers completely personalized vitamin and supplement packs right to your door. For 25% off your first month of personalized Care/of vitamins, visit TakeCareOf.com and enter code JUNKIE. On February 18, 2002, 23-year-old Marine Sergeant Todd Sommer collapsed at the home he shared with his wife, Cynthia. An autopsy concluded that Todd had died from a heart attack, but years later, Cynthia was arrested and charged with murder. A special thank you to Allen Bloom, one of Cynthia's attorneys, for speaking with me about the case. Buzz Book - Create something memorable with a Buzz Book, the new, softcover photo book by Nations Photo Lab. Go to nationsphotolab.com/buzzbooks and use code JUNKIE to get your first Buzz Book for free. CALM - CALM is the #1 app for sleep, meditation, and relaxation. Interested in trying? For a limited time, Court Junkie listeners can get 25% off a Calm Premium subscription at CALM.COM/JUNKIE. It includes unlimited access to ALL of Calm’s amazing content and premium programs. You Can’t Make This Up - a new podcast from Netflix that takes a look behind the scenes of the documentaries and true stories everyone’s talking about, including: Making A Murderer, Wild Wild Country, Evil Genius, and more. Available on Apple, Stitcher, Spotify, or your preferred podcast destination. Go listen, subscribe and review now! On October 28, 2009, there was a fatal encounter between 57-year-old Mark Stover and 42-year-old Michiel Oakes. Prosecutors say Michiel committed premeditated murder, but Michiel says it was something else. Who will the jury believe? Osso Good - Made using only the highest quality ingredients, like grassfed and finished beef and organic veggies, Osso Good offers more than 10 different bone broths – from classics like Beef, and Chicken to Chinese Herb infused options. Visit ossogoodbones.com/Junkie and use promo code JUNKIE for $15 off your first purchase. On August 20, 2008, a tragedy occurred at the football practice at Pleasure Ridge Park High School in Louisville, Kentucky. A 15-year-old boy lost his life and a 37-year-old coach would soon face charges in his death. Castbox - Castbox is one of the highest rated podcast listening apps for iOS and Android. Once you've downloaded the Castbox app, click Go Premium and enter promo code “90Days” to get 3 free months of all the premium features. In this Court Junkie Brief, I interview Stanford Law Professor Michele Dauber, who led the recall campaign against Judge Aaron Persky, the judge who presided over the Brock Turner case from Episode 58. We discuss why she decided to start the campaign, Judge Persky's sentencing history, and death threats she received as a result of her efforts. You can follow Professor Dauber on Twitter @mldauber, and also follow their ongoing efforts to put violence against women on the ballots on Twitter @EnoughVoter. Their website should be up shortly, so be on the lookout for that at enoughisenoughvoter.org. In January 2015, a call of an unconscious female came into the Santa Clara County Sheriff’s office in Palo Alto, California. Deputies responded to a fraternity house on the Stanford campus and found an unresponsive woman who had been sexually assaulted, lying on the ground outside, behind a dumpster. The suspect was a freshman at Stanford, and the trial and sentencing that followed would make national news. I spoke with Professor Michele Dauber, a law professor at Stanford, for this episode. You can follow Professor Dauber on Twitter @mldauber. For more information on what’s next for Professor Dauber’s campaign, please visit enoughisenoughvoter.org or follow them on Twitter @enoughvoter. The website is brand new and should be up this week or next. Osso Good - Made using only the highest quality ingredients, like grass-fed and finished beef and organic veggies, Osso Good offers more than 10 different bone broths – from classics like Beef, and Chicken to Chinese Herb infused options. Visit ossogoodbones.com/Junkie and use promo code JUNKIE for $15 off your first purchase. True Botanicals - True Botanicals bottles the highest quality natural ingredients, creating luxurious formulas that are as potent as they are pure. Go to truebotanicals.com now to get free samples, and receive $20 off orders of $40 or more with the code “junkie.” Offer restricted to first purchase only. Simple Contacts - Simple Contacts is the most convenient way to renew your contact lens prescription and reorder your brand of contacts from anywhere, in minutes. To get $20 off your first order of contacts, go to simplecontacts.com/JUNKIE20 or enter code JUNKIE20 at checkout. In 1998, a newborn baby was stolen from the University Medical Center in Jacksonville, Florida. The mystery would go unsolved for 18 years, until a teenager in South Carolina made a shocking discovery. Handy - Handy is the easy and convenient way to book home cleanings. To get your first 3-hour cleaning for just $39 when you sign up for a plan, visit handy.com/junkie and use promo code JUNKIE during checkout. Care/of - Care-of is a monthly subscription vitamin service that delivers completely personalized vitamin and supplement packs right to your door. For 25% off your first month of personalized Care/of vitamins, visit TakeCareOf.com and enter code JUNKIE. CALM - CALM is the #1 app for sleep, meditation, and relaxation. CALM gives you the tools you need to live a happier, healthier and more mindful life. Go to CALM.com/JUNKIE and get 25% off a CALM Premium subscription, which includes hundreds of hours of premium programs. In Episode 34, I covered the case of Kelly Cochran, who was accused of murdering her former lover, Christopher Regan. At her trial, Kelly maintained her innocence and instead placed the blame for Christopher's death on her husband, Jason Cochran, who had mysteriously passed away before the case went to trial. In addition to Christopher's death, Kelly was charged with Jason's murder too. In this Case Update, I pick up where I left off in Episode 34 - after Kelly went on trial for Christopher's murder. I spoke with MJ Dulmage, an author who has close ties to the case, about Kelly's recent plea deal and sentencing for the death of her husband, Jason Cochran. For more info on MJ's book, please visit http://www.facebook.com/coldfromtheinside. Reminder: I am currently on maternity leave and will be releasing the next regular episode towards the end of August 2018. Thank you for your patience! In May 2009, a tragedy hit the small St. Louis suburb of Columbia, Illinois. A loving mother and her two young sons were found dead in their beds. But who would do such a thing, and why? REMINDER: I will be on maternity leave for the next 8 weeks. The next episode will be released on August 20, 2018. Thank you for your patience! Everlywell - EverlyWell is an at-home health-testing company that offers a variety of physician-reviewed, private tests – from Food Sensitivity, to Metabolism, to Thyroid. Head to everlywell.com and use promo code JUNKIE to take 15% off your first order. Leesa - Leesa is an innovative direct-to-consumer online mattress brand that is also socially conscious. Get $160 off when you go to Leesa.com/JUNKIE. Simple Contacts lets you renew your prescription and re-order your brand of lenses from anywhere, in minutes, through an online, self-guided vision test. Court Junkies get $30 off their first Simple Contacts order by visiting simplecontacts.com/junkie or enter the code JUNKIE at checkout. Ep 55: Husband vs. Wife - What Really Happened to Laura Ackerson? In July 2011, 27-year-old Laura Ackerson went to pick up her two children from her ex-boyfriend's house, only to never be seen or heard from again. The former boyfriend is immediately a suspect, but he quickly points the finger at his new wife. After two trials, will we finally get the answers to what happened to Laura? Disclaimer: This episode contains some graphic testimony. Listener discretion is advised. Smokeball - Smokeball is the only case management software that automatically records your time and activity for you. Get daily digest updates, law firm insights reports, automatic Word to PDF creation, over 14,000 automated legal forms, dedicated account management and much more! Court Junkie listeners can receive 50% off the onboarding fee when you sign up with Smokeball. Go to smokeball.com/COURT. Leesa - Leesa is an innovative direct-to-consumer online mattress brand that is also socially conscious. Get $130 off AND a free pillow when you go to Leesa.com/JUNKIE. Darren Sharper retired from the NFL a sports hero, after helping lead the New Orleans Saints to a Super Bowl victory in 2011. But just three years later, some shocking allegations would surface and prove that everything wasn’t as it seemed. Thank you to Ramon Antonio Vargas, for helping me with this case. Follow him on Twitter @RVargasAdvocate or email him at rvargas@theadvocate.com. Leesa - Leesa is an innovative direct-to-consumer online mattress brand that is also socially conscious. For MEMORIAL DAY, get $160 off when you go to Leesa.com/JUNKIE. On December 6, 2011, police officers in Princeton, Massachusetts responded to a 911 call from a prominent dentist's home. When they arrived, they found the dentist's wife lying on the ground, underneath a broken third-floor window. Was it suicide, murder, or a tragic accident? Thank you to Melissa Hanson from MassLive.com for her help with this episode. Follow Melissa on Twitter - Twitter.com/Melissa__Hanson. One Last Breath by Lisa Jackson and Nancy Bush is a gripping novel of murder, greed, revenge…and the kind of family secrets that are worth killing for. One Last Breath is on sale now everywhere books are sold. For more info, go to LisaJackson.com. Leesa - Leesa is an innovative direct-to-consumer online mattress brand that is also socially conscious. Get $125 off AND a free pillow (!) when you go to Leesa.com/junkie. In February 2017, 21-year-old Reagan Tokes disappeared after leaving the restaurant where she worked in Columbus, Ohio. Clues found in her abandoned car would lead investigators to her killer - but his criminal past would have everyone questioning just how well the system works - or doesn't. For more information on the Reagan Tokes Act, check out this article - https://www.10tv.com/article/reagan-tokes-act-introduced-ohio-statehouse. Everlywell - EverlyWell is an at-home health-testing company that offers a variety of physician-reviewed, private tests – from Food Sensitivity, to Metabolism, to Thyroid. No more sitting in waiting rooms or waiting on your results. Head to everlywell.com and use promo code JUNKIE to take 15% off your first order. In November 2006, a young pregnant mother was found dead in her home near Raleigh, North Carolina. Investigators immediately suspected her husband, who had a seemingly rock-solid alibi - he was hundreds of miles away on a business trip at the time of the murder. Or was he? In Part 2, we finally hear Jason's side of the story - but is it enough to keep him out of prison? Note: WRAL.com has some fantastic videos from the trial and other interviews with people involved in the case. Please consider supporting the podcast with as little as $1 a month via Patreon.com/CourtJunkie. Get ad-free episodes, stickers and more. Smokeball is the only case management software that automatically records your time and activity for you. Get daily digest updates, law firm insights reports, automatic Word to PDF creation, over 14,000 automated legal forms, dedicated account management and much more! Court Junkie listeners can receive 50% off the onboarding fee when you sign up at Smokeball.com/COURT. In April 2013, the small community in Valley Springs, California, was shaken by a mysterious intruder who allegedly broke into a home and senselessly murdered an 8-year-old girl. But after an arrest was made, there seemed to be more questions than answers. In THE MANSON WOMEN AND ME, Peabody award-winning journalist and psychotherapist Nikki Meredith takes a bold and insightful new look at one of the most notorious murders of the 20th century. For more info, visit Kensington Books.com/Nikki Meredith. BREACH is a new podcast that takes you inside the world’s biggest hacks. Subscribe to Breach in your podcast app right now. Ellevest - All Court Junkie listeners can receive $100 towards your first funded goal when you sign up with Ellevest. Visit Ellevest.com/Court. In 2007, 15-year-old Jennifer Mee gained national attention as the "Hiccup Girl," a teenager from Florida whose hiccups would not go away. Just a few years later, she would re-emerge after being charged with first-degree murder. Jennifer's trial was interesting because there was one thing all sides could agree on - Jennifer herself did not pull the trigger. So would the punishment fit the crime? #1 New York Times bestselling author Lisa Jackson will chill you to the bone with RUTHLESS, where simmering just beneath the most idyllic surface are dangerous secrets, bitter jealousy, and those who will stop at nothing to get their vengeance. For more info visit LisaJackson.com. Unexplained Mysteries Podcast - Every week, the hosts explore the greatest mysteries of the past and present. Visit Apple Podcasts, TuneIn, Spotify, GooglePlay, or where ever you listen to podcasts and search for Unexplained Mysteries. Or visit Parcast.com/UNEXPLAINED to start listening now. Leesa - Leesa is an innovative direct-to-consumer online mattress brand that is also socially conscious. Get $100 off when you go to Leesa.com/junkie. Ep 48: Did Alexandria Duval Murder Her Twin Sister? On May 29, 2016, a white SUV mysteriously drove off a cliff in Hana, a town at the eastern end of Maui, in Hawaii. Inside the SUV were identical twin sisters - Alexandria and Anastasia Duval - but only one of them would survive, while the other would be charged with second degree murder. DANGEROUS GROUND: MY FRIENDSHIP WITH A SERIAL KILLER by M William Phelps is the story of a bond as disturbing as it is unlikely, an investigation that crosses every ethical, moral and journalistic line imaginable. DANGEROUS GROUND is now on sale everywhere books are sold. For more info, visit MWilliamPhelps.com. Simple Contacts - Simple Contacts lets you renew your prescription and re-order your brand of lenses from anywhere, in minutes, through an online, self-guided vision test. Get $30 off your first Simple Contacts order by visiting simplecontacts.com/junkie or enter the code JUNKIE at checkout. In this episode, I speak with Beverly's son, Carl Carter Jr., about what this tragedy was like for his family, and how he was able to cope during a very contentious trial - with a defense that tried their best to smear his mother's name. Be sure to visit BeverlyCarterFoundation.org for more info on the Beverly Carter Foundation. THE SLOWEST DEATH by Rick Reed is a hard-hitting and authentic police procedural and it’s on sale now everywhere eBooks are sold. Visit RickReedBooks.com for more info. Suspect Convictions Podcast - The focus of the podcast is questions of guilt or innocence. And, it covers fascinating cases of wrongful conviction, edge of your seat stories, and evidence that will have you second guessing what it means to be innocent until proven guilty. Suspect Convictions is available on iTunes, Stitcher, and Soundcloud. Or you can check them out at suspectconvictions.com. Leesa - Go to Leesa.com/junkie for a special Presidents Day sale for Court Junkies. Get $125 off your mattress order, PLUS a free pillow. Offer valid until February 28, 2018. On September 16, 2016, police in LaCrosse, Wisconsin were called to the scene of a terrible accident. 47-year-old Todd Kendhammer's car was on the side of the road - the windshield smashed, passenger door open, and his wife Barbara lying on the ground. Todd told the officers and first responders that a pipe had fallen off a passing truck and had gone through their windshield, striking his wife. But after additional investigation, law enforcement officers started to disbelieve Todd's account. ALMOST DEAD is a twisted novel of suspense by New York Times bestselling author Lisa Jackson. It’s available now everywhere books are sold and for more info, visit LisaJackson.com. Zola - Zola is reinventing the wedding planning and registry experience to make the happiest moment in coulee’ lives even happier. With over 500 top brands and 50,000 gifts, experiences, and cash funds, Zola Registry has everything you love about your favorite department store, plus things like honeymoon funds, fitness classes, wine subscriptions and more. To sign up and receive a $50 credit towards your registry, go to ZOLA.com/junkie. Leesa - Go to Leesa.com/junkie and get $100 off your mattress order. You can also try a Leesa mattress in your own home for 100 nights risk-free. It’s Available in the US, UK, Canada and Germany online, with free shipping. This 100% American-made mattress ships compressed in a box, right to your door. Ep 45: What Happened to Heather Elvis? In December 2013, 20-year-old Heather Elvis mysteriously vanished in the middle of the night and hasn't been seen or heard from since. Law enforcement and prosecutors are convinced that she was murdered by someone she knew. But would they ever be able to solve the case? Special thank you to LadyJustice2188 on YouTube for the audio for this trial. You can find her at https://www.youtube.com/user/LadyJustice2188. Pantsuit Politics - On Pantsuit Politics, Sarah from the left and Beth from the right have real conversations about the news of the day. Download and subscribe to Pantsuit Politics on any podcast player today and start the conversations you want to have. Everlywell - Everlywell is an at-home health testing company that offers a variety of tests, ranging from Food Sensitivity, to Metabolism, to Cholesterol. Go to Everlywell.comand use code JUNKIE to get 15% off your first order. On August 8, 2016, a tragedy occurred at a home in Hendersonville, Tennessee - An 11-year-old girl was rushed to the hospital after being shot by her own father. EverlyWell - EverlyWell is an at-home health testing company that offers a variety of tests, ranging from Food Sensitivity, to Metabolism, to Cholesterol. Go to EverlyWell.com and use code JUNKIE to get 15% off your first order. In the early morning hours of October 17, 2015, two women accompanied 27-year-old Sasha Samsudean home after encountering her in the street after a night out on the town. They did everything right - they shared an Uber with her, they walked her to her door, and they waited until she was safely inside her apartment building, before heading home themselves. But the next day, Sasha's friends would summon the police, after not being able to get ahold of their friend. What happened to Sasha? FragranceX - Get an extra 25% OFF when you go to perfume.com and use the code COURT25. Their discount fragrance selection consists of over 9,500 brands of perfume, cologne, body lotion, and after shaves – including many discontinued perfumes and discontinued colognes. Virtue Labs - Try Virtue hair products for 10% off and get free shipping. Visit VirtueLabs.com and use code COURT. From 2008 - 2011, the murders of two little girls in Weleetka, Oklahoma, remained unsolved, until a 23-year-old woman's disappearance would lead to the arrest of a dangerous suspect. Dispatch - Try this awesome interactive mystery story game that is delivered to your house each month. Take 50% off your first delivery with code COURT. Go to breakoutdispatch.com/COURT and use code COURT. Mrs. Fields - Go to MrsFields.com, click on the microphone on the upper right-hand corner, and enter code JUNKIE to save 20% on ANY Mrs. Fields product. Warby Parker - Go to WarbyParker.com/court to order your free Home Try-Ons today. Choose the 5 frames you’d like to try to try on, mail the frames back, choose your favorite pair to have your Rx added to and order! On December 6, 2014, firefighters in Cortland, Mississippi, came across a horrifying scene after responding to a car fire - 19-year-old Jessica Chambers had been set on fire. They tried to save her, but to no avail. Although Jessica didn't survive her injuries, could she have given a clue to the first responders? Quintin Tellis, a friend of Jessica's, would later go on trial for her murder - but did he really do it? Dispatch - Try this awesome interactive mystery story game that is delivered to your house each month. Take 50% off your first delivery with code COURT. Go to breakout dispatch.com/COURT and use code COURT. Podcast Listener Survey - Please go to PodcastListener.com/CJ and fill out a quick survey. On August 17, 2014, 38-year-old Robert Limon was gunned down while at work. His wife’s lover was immediately arrested, but did he do it alone, or was someone else the mastermind? Mrs. Fields - Go to MrsFields.com, click on the microphone on the upper right-hand corner, and enter code JUNKIE to get 25% off Mrs. Fields’ Bestselling Peace, Love, and Cookies tin. Great holiday gift idea! Virtue Labs Hair Products - Get 10% off plus free shipping with the code COURT. Visit VirtueLabs.com to place your order. In October 2012, 17-year-old Jake Evans called 911 and made a startling confession - he had just murdered members of his own family. But as Jake's case made his way through the court system, it was stalled. In this Court Junkie Brief, I interview Dr. Jennifer Johnson, a forensic psychologist. We talk about her profession, how defendants are determined competent to stand trial, and if she has ever disagreed with a judge's decision. Please consider supporting this podcast with as little as $1 a month via Patreon.com/CourtJunkie. In January 2014, a gruesome murder would result in the conviction of 19-year-old Austin Myers, Ohio's youngest death row inmate. Many advocates for Austin believe his sentence was unfair, due to the fact that he never actually touched the murder weapon. The Snowman - See it only in theaters October 20th. Virtue Labs Hair Products - Court Junkie Listeners can now try Virtue at 10% off and get free shipping with the code COURT. Visit VirtueLabs.com to place your order. Ellevest- Court Junkie listeners receive $100 toward your first funded goal when you sign up with Ellevest. Visit Ellevest.com/COURT. 20-year-old Holly Bobo went missing from her home near Parsons, Tennessee, on the morning of April 13, 2011. For years, her family was in the dark as to what happened to her, until finally, progress was made in the case. But would the trial of Zach Adams finally provide the answers? Ep 36: From “Husband/Father” of the Year to….Murderer? In June 2006, the town of Reno, Nevada was rocked by a brutal murder, the shooting of a judge, and a week-long manhunt for the suspect. Book of the Month - Go to bookofthemonth.com/court to see their current selections and get your first book for just $9.99. A 29-year-old woman goes missing in Vallejo, California in 2015, and the details surrounding her disappearance are bizarre, to say the least. There are many things in this case that may surprise you and have you thinking that you know what’s going on….until you don’t. Virtue Labs - Visit virtuelabs.com and get 10% off and free shipping with code COURT. Hello Fresh - Visit hellofresh.com and enter promo code COURTJUNKIE30 to get $30 off your first week. It all started with a missing persons report that was filed on October 27, 2014. Christopher Karl Regan hadn't been seen for two weeks and his friends and family were worried about him. The main suspect in his disappearance was Kelly Cochran, a married woman he had been secretly dating. But did Kelly really kill him, or did her husband have something to do with it? Book of the Month - Visit bookofthemonth.com/court to see their current selections and get your first book for just $9.99. Ellevest - Go to Ellevest.com/COURT to get $100 toward your first funded goal when you get started. Earlier this month, Michelle Carter was sentenced for her role in the suicide death of her boyfriend, Carter Roy. I cover the sentencing hearing and drill down what it means with Daniel Medwed, from Northeastern University. Note: This is an update to Episode 29 The Death of Conrad Roy (Michelle Carter Trial). Ep 33: Jason Corbett - Murder or Self Defense? In the early morning hours of August 2, 2015, 39-year-old Jason Corbett was found lying dead on the floor of his master bedroom. His wife, Molly Martens, and her father, Thomas Martens, claimed they killed Jason in self-defense. But was that really the truth or would a different story emerge at trial? A special thank you to Alex Rose from WGHP Fox 8. Follow Alex on Twitter @AlexRoseNews. Virtue: www.VirtueLabs.com, use code COURT for 10% off, plus free shipping. EP 32 Part 2: Who Was Behind the Death of Rusty Sneiderman? Although Hemy Neuman was convicted in the last episode, this case still isn’t over - more charges, more courtroom drama…and more lies. Ep 32: Who Was Behind the Death of Rusty Sneiderman? On November 18, 2010, a tragedy occurred at the Dunwoody Prep Daycare in Dunwoody, Georgia. A young father was gunned down after dropping off his 2-year-old son. The person who pulled the trigger was caught shortly thereafter, but was there a conspiracy behind the death? In January 2014, a horrific discovery was made along the side of the road in St. Clair Township, Michigan. What followed was an intense trial with testimony that seemed to be unbelievable....but was it? When Dalia Dippolito returned home from the gym in the early morning hours of August 5, 2009, she came home to a scene that would be anyone's worst nightmare - police officers were waiting for her and told her that her husband had just been murdered. But...everything certainly wasn't as it seemed. OJ Simpson's parole hearing is coming up on July 20, 2017. Here's a look back at how he landed in prison. At just 18 years old, Conrad Roy III tragically took his own life in July 2014. When police arrived at the scene, they found his cell phone, which would reveal some shocking text messages he had been exchanging with his alleged girlfriend at the time, 17-year-old Michelle Carter. Was Michelle encouraging him to commit suicide, and if so, could she be found legally responsible for his death? A special thank you to Daniel Medwed from Northeastern University and Kelly Montemurro for her help with researching this case. Follow Daniel on Twitter @DanielMedwed. To watch the entire trial on YouTube, check out LadyJustice2188’s Channel. This podcast contains selected clips, but you can find the entire trial on that channel (along with many other trials). On June 17, 2015, 21-year-old Dylann Roof walked into the Mother Emanuel AME Church in Charleston, South Carolina, and joined the weekly Bible Study. The 12 church members welcomed the newcomer, completely unaware of his evil intentions. Simplisafe: Go to Simplisafe.com/Listen and get a special 10% discount. Casper: Visit www.casper.com/COURT and use code COURT. Lola: For 60% off your first order, visit mylola.com and enter COURT when you subscribe. In this Case Update, hear what went on in the sentencing of War Machine, the former MMA fighter who was convicted of beating his former girlfriend, Christy Mack, and her friend, Corey Thomas. In October 2011, a 32-year-old Ohio teacher went on trial for sexual battery, accused of having inappropriate relations with 5 of her students. Her plea? Not guilty by reason of insanity. Hazing is unfortunately a common practice that can often turn deadly. In this episode, I cover the unfortunate deaths of three college students - 26-year-old Robert Champion, 19-year-old Michael Deng, and 19-year-old Tim Piazza. Thank you to Emily Pualwan from HazingPrevention.org, and Doug Fierberg from tfnlgroup.com and schoolviolencelaw.com. - Subscribe to 74 Seconds, a new podcast about the Philando Castile case, on Apple Podcasts or your favorite podcast app. On April 9, 2016, a road rage shooting took place in New Orleans, Louisiana that would claim the life of former NFL star Will Smith. With conflicting stories from both sides, what would happen during the trial of the man accused of killing him? - Get 20% off your Nudu skincare purchase by visiting Nudu.com and using promo code COURT. It’s a story that has been told numerous times before - On Halloween night in 2001, Kent Heitholt, a 48-year-old sports editor, was brutally murdered in the Columbia Tribune parking lot as he was leaving work. Ryan Ferguson and Charles Erickson were arrested years later and charged with murder, although none of the forensic evidence at the scene matched either of the men. The case would slowly fall apart, amid witness recantations, and accusations of corruption. Ryan would eventually be released, but Charlie remains in prison. In this episode, I speak to Charlie and get his side of the story, along with updates in the case. Visit FreeCharlesErickson.com for more info. In September 2014, the Blooming Grove Barracks in Pike County, Pennsylvania came under attack by a sniper, hiding in the woods. What followed was a tragedy, a manhunt, and a death penalty trial. In March 2017, former NFL star and already-convicted murderer Aaron Hernandez went on trial for the murders of Daniel de Abreu and Safiro Furtado. Daniel and Safiro were murdered in July 2012, after a possible encounter with Aaron Hernandez at a Boston nightclub. Five days after his trial was over, an unexpected turn of events would change Aaron's criminal record forever. On July 30, 2011, 30-year-old Lisa Cecilia Harnum died, after falling from her 15th floor balcony. Her fiancé, Simon Gittany, was arrested and charged with murder. Thank you to Melissa for suggesting this case, and a special thank you to Andrea Alden and Amy Dale, for helping me out with this episode. On Thursday, February 5, 2015, 19-year-old Cornell University student Charlie Tan suddenly left campus to return to his hometown, over 100 miles away. Four days later, his mother would place a 911 call that would change their lives forever. Ep 18: Kenia Monge and "The Good Samaritan"
19-year-old Kenia Monge disappeared after a night out with friends on April 1, 2011. As her family launched a desperate campaign to find her, her father met with the man who last saw her – a man who said he had tried giving her a ride home the night she went missing. From then on, her father knew they would never find her alive. A special thank you to Tony and Maria Lee, Kenia's parents, for speaking with me about their daughter's case. In August 2014, 22-year-old Christy Mack and her friend Corey Thomas were abruptly awoken in the middle of the night by Christy's ex-boyfriend, an MMA fighter named War Machine. What followed was a brutal attack that would land both of them in the hospital with severe injuries, and cause War Machine to go on the run. War Machine was captured and went on trial in March 2017. Christy had to face her attacker in court and recount brutal details from not only that night, but from throughout their relationship. In this Court Junkie Brief, I interview Dave Wenger, a prosector from Pennsylvania. We talk about the process of a plea deal, what factors go into the decision to offer one, and I ask him to defend some arguments against the idea of guilty pleas. If you’d like to discuss this case or other true crime, please join our active discussion on the Court Junkie Discussion Facebook Group. In November 2010, 20-year-old Cody Legebokoff was pulled over by an RCMP officer while speeding away from a dark abandoned road. Little did the officer realize that his actions that night would be stopping a serial killer in his tracks. This episode covers the case and trial of Cody Legebokoff, one of Canada's youngest serial killers. Ep 15 Part 2: Justice in Bali? In Part 2 of this episode, you’ll hear about the third arrest in the murder of 62-year-old Sheila Von Weise-Mack. And with this arrest, comes some additional shocking evidence against Heather and Tommy, in the form of their own words. You’ll also hear how Heather and Tommy are coping at the Kerobokan Prison in Bali, and what’s next in the investigation. In this episode, I explore the case of Sheila Von Weise-Mack, a Chicago mother who was murdered while on vacation in Bali with her 19-year-old daughter. After wheeling a suspicious-looking suitcase out into the lobby upon checkout from their resort, Sheila’s daughter, Heather Mack, and Heather’s boyfriend, Tommy Schaefer, flee the scene. Investigators are horrified to find Sheila’s body inside the suitcase. Justice in Bali is a lot different than justice in other parts of the world. In Part 1, you’ll hear details of the crime, as the court in Bali hears them. In the early morning hours of June 14, 2007, a 32-year-old man is found walking down the side of a frontage road off I-55 in Channahon, Illinois. He’s bleeding and seemingly in shock. A passerby calls 911 and investigators arrive at the scene. They find the man’s wife and three children, dead in the family’s SUV. In this episode, I cover the trial of Christopher Vaughn, a husband and father accused of killing his wife and three children. A special thank you to Jon Seidel, a reporter with the Chicago Sun-Times for contributing to this episode. You can follow him on Twitter at @SeidelContent. To support this podcast, you can donate as little as $1 via Patreon.com/CourtJunkie. In this episode, I cover former NFL player Aaron Hernandez’s harsh fall from grace. In 2015, Aaron was convicted of the murder of 27-year-old Odin Lloyd. As he sits in prison, he is now preparing for yet another trial, scheduled to begin next month. I speak with Kevin Armstrong (@KevinGArmstrong) from the New York Daily News about Aaron’s arrest, trial, and upcoming trial. Kelsey Smith was just 18 years old when she was abducted from a Target parking lot in Overland Park, Kansas in June 2007. Finding her would take a battle with a cellular phone company and heartbreaking surveillance video from Target, that shows that no one is ever really safe, even if you’re running a simple errand in broad daylight. A special thank you to Kelsey’s mom, Missey Smith, for speaking with me for this episode. To learn more about the Kelsey Smith Foundation and the Kelsey Smith Act, please visit kelseysarmy.org. You've probably heard of Shaken Baby Syndrome but what you may not know is how controversial it's becoming. Hundreds of people are prosecuted each year in the US after being accused of shaking a baby. But with the emergence of shaken baby syndrome skeptics, many convictions are being overturned. In this episode, I speak with Susan Goldsmith, the writer and producer of the documentary, The Syndrome. The Syndrome focuses on the science (or lack thereof) behind Shaken Baby Syndrome and the wrongful conviction cases because of it. You can find The Syndrome on many On Demand cable/satellite networks or on YouTube. You can also visit the website - http://www.thesyndromefilm.com/. Please join our active discussion on the Court Junkie Discussion Facebook Group. 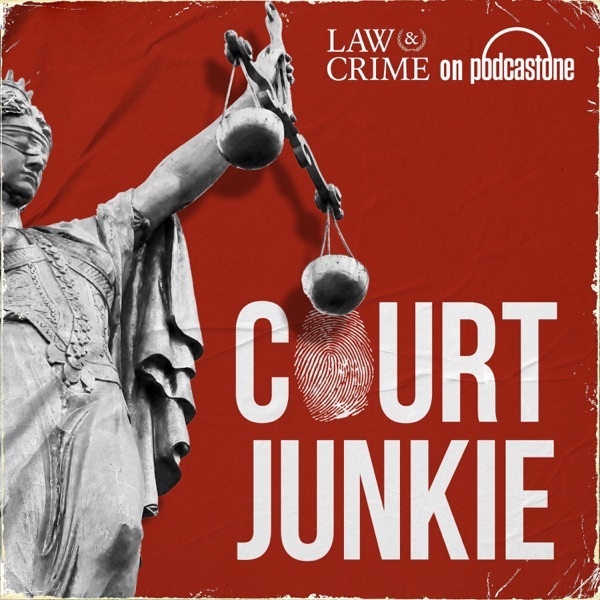 In this episode, I take you behind-the-scenes of each case I covered in the Court Junkie podcast, as well as go over the latest updates. You'll also hear from Pravin Varughese's mom and family friend, as well as other Court Junkies. If you’d like to discuss this episode, please join our active discussion on the Court Junkie Discussion Facebook Group. We all have cases that we follow and that stick with us, whether it’s on a personal level or because we’re oddly fascinated with them. In this episode, I count down the top cases that affected me the most this year. Next week, I’ll be releasing an end-of-year update episode, where I’ll be providing updates in the cases I’ve covered so far in this podcast. In August 2012, 66-year-old John Wise went to the Akron General Medical Center to visit his ailing wife of 45 years. He would leave there in handcuffs. It’s a case that isn’t as it seems and the twists and turns may leave you with more questions than answers. It’s a case that begs the question, does the act outweigh the intent? In this Brief, I speak with Russ Richelsoph, a criminal defense attorney from Tempe, Arizona. Russ talks about how he chooses his expert witnesses, what sort of credentials expert witnesses need to have (the answer might surprise you), and what it's like to cross examine an expert witness. In Part 2 of this episode, Kristine and her newly-formed defense team fight to win back her freedom. Armed with advances in fire science, a potential Brady violation, and some shocking revelations about the State's evidence at trial, Kristine and her team fight till the very end. A special thank you to Kristine Bunch for helping me tell her story. In part 1 of this episode, you’ll hear about one woman’s nightmare come true. In 1995, 21-year-old Kristine Bunch was abruptly awoken in the early morning hours to discover that her house was on fire. After escaping the flames, she watched in horror as firefighters were unable to save her 3-year-old son who was still trapped inside. Within hours of being released from the hospital, she discovered that detectives had a theory about the fire - someone had started the fire on purpose, and their main suspect was Kristine. In this Court Junkie Brief, I speak with Alan Hirsch, a professor and chair of the Justice and Law Studies program at Williams College, in Williamstown, Massachusetts. Alan has also testified as a false confessions expert in over 25 different trials across 16 different states. We talk about why people falsely confess to crimes they didn't commit, the different techniques law enforcement uses in their interrogations and cases involving false confessions. Visit Alan's website - http://www.truthaboutfalseconfessions.com/. Note: At the time of this recording, Brendan Dassey was set to be released from prison. However, after this was recorded, the federal court blocked his release. Ryan Poston and Shayna Hubers had been dating on and off for about a year when one night in October 2012, a 911 call was placed from Ryan’s condo. When officers arrived, they found Ryan dead from multiple gunshot wounds. Shayna claimed it was self-defense even though Ryan had been shot 6 times. I’ll go over Shayna’s bizarre behavior, the details from the trial, and tell you about a shocking new development that just might change everything. On February 24, 1986, John Ruetten came home from work to find his newlywed wife on their living room floor, dead from 3 bullet wounds to the chest. Investigators concluded it was a burglary gone wrong, but the case went unsolved for decades. 23 years later, DNA testing that hadn’t been available before was conducted and who the new evidence pointed to was shocking. In Part 2, you’ll hear the conclusion of Stephanie’s interrogation, the evidence presented at trial, and the final outcome of the case. In Part 1, you’ll hear the details of the crime, how the investigation progressed over the years, and audio from a very interesting interrogation. Trying someone for murder without knowing the location of the victim's body happens a lot more than you might think. The phrase "no body, no crime" just isn't true. I spoke with Tad DiBiase, a former federal homicide prosecutor and expert on no body murder cases, about the first no body case he tried, what the stats on these types of cases are, and how these cases can affect jury selection. Court Junkie Briefs are additional episodes I've created that focus on a singular courtoom-related issue. I'll be speaking with legal experts, analysts, attorneys, forensic pathologists, etc., to help us all get a better understanding of our justice system. Please join our active discussions on the Court Junkie Discussion Facebook Group. 17-year-old Alexis Murphy was a popular teenager from Shipman, Virginia with her whole life ahead of her. In August 2013, she was looking forward to her senior year of high school when she had an encounter with a man at a local gas station that would change everything. Although Alexis is still missing, the Commonwealth of Virginia went after her accused abductor and charged him with murder. Can the Commonwealth prove their case without a body? If you have any information about the whereabouts of Alexis Murphy, please contact the Nelson County Sheriff’s Office at (434) 263-7050. Please note: If you downloaded this episode prior to 6:30PM CT on 10/17, it's missing a minute, sorry! Please re-download it to get the full episode. Judge Shanes made his decision last Friday on Melissa’s request for a new trial. I attended the hearing and will go over the ruling as well as what’s next for Melissa and her team. Just days after releasing my original episode about Erica Parsons, there was a major breakthrough in the case. In an expected yet tragic ending to the Erica Parsons case, Rowan County investigators announced on Friday that they found Erica’s body. Be sure to include “Erica’s Angel” on your donation. In April 2006, the small city of Medicine Hat in Alberta, Canada, was shocked by an unthinkable murder no one ever saw coming - A 12-year-old girl convinces her 23-year-old boyfriend to murder her entire family. I speak with the first investigator on the scene and talk to him about the crime itself as well as the latest developments - which might shock you too. Warning: this episode contains some disturbing details, but they’re important to understanding the severity and complexity of the case. NOTE: I'd like to make a correction about my reference to the "town of Saskatchewan." Saskatchewan is actually a province and not a town. Sincere apologies to my Canadian friends! Could a jailhouse conversation be the key to finding out what happened to Erica Parsons? Erica Parsons had been missing from her home in Salisbury, North Carolina for two years before she was finally reported missing to police by her adoptive brother. Erica’s adoptive mother told police she went to live with her biological grandma - someone police say does not exist. I talk to Brooklyn Parsons, Erica’s adoptive sister, who has recently visited her father, Sandy Parsons, in prison. What he tells her could finally provide answers on what really happened to Erica. Case Update: Melissa Calusinski - Did Someone Tamper With The Evidence? I attended day 3 of Melissa Calusinski’s evidentiary hearing. Her attorney, Kathleen Zellner, had filed a Post Conviction Relief Petition, based on possible new evidence. Day 3 of the hearing included testimony from an imaging expert who makes some shocking clams about the x-ray images. 19-year-old Pravin Varughese was a college student at Southern Illinois University when he was mysteriously found dead in the woods after leaving a party. Investigators believe he died from hypothermia but a second autopsy reveals he may have died from blunt force trauma. A 22-year-old man came forward to say he got into a fight with Pravin the night he died. Will Pravin’s family finally get the answers they’re looking for? A special thank you goes out to Pravin’s mom, Lovely Varughese, and Monica Zukas for helping me with Pravin’s story. Melissa Calusinski has been in prison since 2009 after being convicted of murdering a 16-month-old boy. New evidence shows that there might not have been a homicide after all. I went to Melissa’s recent evidentiary hearings for a new trial and learned some bombshell information that highlights the need for a retrial. It was January 14, 2009. A 16-month-old toddler named Benjamin Kingan died at a Lake County, Illinois daycare center from a mysterious head injury. Melissa Calusinski, a 22-year-old Teacher’s Assistant at the daycare, was charged and ultimately convicted of his murder. Years later, new evidence has been discovered that shows Ben's cause of death may not be what it seems, and that it may not have been a homicide after all.